We’re constantly hearing about the importance of emerging markets – how there is an untapped consumer base that the financial giants of the world can quickly capitalize on to send profits surging. However, not everyone agrees that should be the focal point for operations. Focusing on Lloyd’s of London’s recent efforts to plant flags across a host of emerging economies – it has opened offices in areas such as Mumbai, Dubai, Casablanca, Bogota and Mexico City in recent times – Andrew Brooks, the incoming chair of the Lloyd’s Market Association offered a different perspective. Instead he believes that more effort should be made across the vital North American market. “By focusing on those developing countries so heavily, we’ve lost traction in our key market of North America,” he told the Financial Times. Speaking to the publication, Brooks, also the chief executive of Lloyd’s insurer Ascot, outlined that there is plenty of scope for the world’s largest insurance market to do business in the region. “If we can work on new technology and really spend time developing products for North America, that would be great,” he explained. “Then you can see how the strategy can be used in Asia. He explained that it could be difficult to enjoy growth among the specialist cover Lloyd’s provides in markets that are only just starting to embrace insurance in general. However, that perspective is not necessarily agreed on by all, with Bronek Masojada, chief executive of Hiscox, telling The Financial Times that a wide network of licences is crucial. “In a few years time, Nigeria will be one of the world’s biggest economies,” he added. 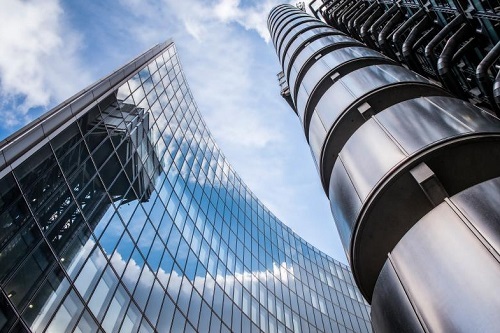 Brooks also believes there is scope for insurers at Lloyd’s to co-operate and compete with some of the facilities offered by the larger insurance brokers. “We should be able to come together to create our own facilities — pooling talent and technology,” he said.